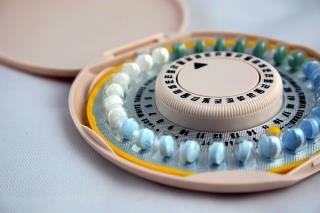 (Newser) – Anyone who's struggled with mood swings while on hormonal birth control may not be surprised to hear that a new study suggests using such birth control could increase the risk of depression. Researchers from the University of Copenhagen looked at more than a million women ages 15 to 34, about 55% of whom were using hormonal contraception or had been on it during the past six months. (Often, people who quit birth control due to depressive symptoms aren't included in such studies, and the scientists wanted to make sure that wasn't the case for this one, Health.com reports.) The scientists theorize that progesterone, as well as the synthetic version of the hormone, progestin, has something to do with the development of depression. They found that women on a progestin-only pill were 34% more likely to have been prescribed an antidepressant than women who weren't on hormonal contraception, and women who were on a pill containing both progestin and estrogen were 23% more likely. Duh That pretty much sums it up. Does the pill have any effect akin to the depression that women often suffer after giving birth? Never having been a woman, I was just wondering.